I’m in the camp that Frozen is entertaining if a tad overrated. People are coming out of the woodwork to support the movie, which won two Academy Awards, two Annies, and a slew of other awards. I’ve seen it twice now, once in theater and once in our living room, and I quite enjoy it… but I think it’s more flawed than most care to admit. Three stars out of four, unless you’re one to get swept up in musicals, in which case three and a half. I’d probably write a full-fledged review if I wasn’t so entrenched in my Top 100 Everything series. One sentiment I do agree with: Frozen has a great soundtrack. It has the best soundtrack for a Disney movie since the nineties. Its only competition is The Princess and the Frog, a movie and soundtrack that will probably be forever underrated (and the movie whose disappointing box office was responsible for the lucrative and controversial decision to give Disney movies gender-neutral names: Tangled and Frozen instead of Rapunzel and The Ice Queen). The peaks aren’t quite as high, and there a few puzzling choices — how can a musical have literally no songs in its third act? — but in some ways the Frozen soundtrack actually SURPASSES the great Disney soundtracks of yore. I like all eight of its songs. Are there any other Disney movies with EIGHT songs I like? Not that I can think of. Most don’t even have that many. So, as a break from my Top 100, here is a rank of the eight songs from Frozen. I’ve embedded the clips from the movie, but my ranking is based on the song itself as it is on the soundtrack, not the movie scene (though I don’t think my ranking would change too much). The “Circle of Life” of Frozen, but not nearly as great. This sets the tone for the movie and gives us a brief, enjoyable entry into its world, with a key message central to the film’s plot: Ice is powerful and dangerous. Definitely the least essential soundtrack song, included on this list for completeness. Comic relief snowman Olaf is amusing but overused. His musical number is absolutely inessential to the movie, but I’m glad they included it: A magical snowman unfamiliar with heat but fantasizing about summer is a funny, dark gag (“I’ll find out what happens to solid water when it gets warm!”). But my opinion is that a little bit of Josh Gad’s wacky affectation goes a long way. Not quite as melodic as some of the other songs, but full of plenty moments and good lines (“Not sure if I’m elated or gassy, but I’m somewhere in that zone.”) Who knew Kristen Bell was such a good singer? Too adorable and just the right amount of sad and longing. The melody is a lot stronger than “For the First Time in Forever,” and the youthful exuberance of the various Annas is infectious. I love every time the chord progression spends a bar in the minor key. If any musical can pull off “Do You Want to Build a Snowman” as its fifth best moment, you know it’s doing something right. My biggest complaint: The minute-long instrumental section in the middle of the song (you know, the part where their parents die on screen?). Jonathan Groff is a talented, enjoyable singer, so it’s a little bit surprising that he only gets fifty seconds of singing all movie long. But he makes the most of his brief appearance. This is a charming introduction to Kristoff and Sven, the puppy-like reindeer (Frozen‘s comedic MVP). I love Groff’s “reindeer” voice, and everything else about this song. Funny, sweet, charming. I only wish it went on a bit longer. Frozen‘s “Be Our Guest” with a syncopated, vaguely tropical beat to it. I could do without the tinkle joke, but some of these lines are legitimately funny — the movie’s runner about Kristoff smelling badly works every time it comes up — and the cast of trolls gives an enthusiastic performance. That key change at “everyone’s a bit of a fixer-upper…” shows how key changes should be done. The Academy Award winner for Best Song. Idina Menzel (Adele Dazeem? ), a vocal powerhouse, sends this great pop composition to the stratosphere (don’t waste your time with Demi Lovato’s version). Like “A Whole New World,” this song serves as the movie’s centerpiece and captures the theme of the film quite succinctly. 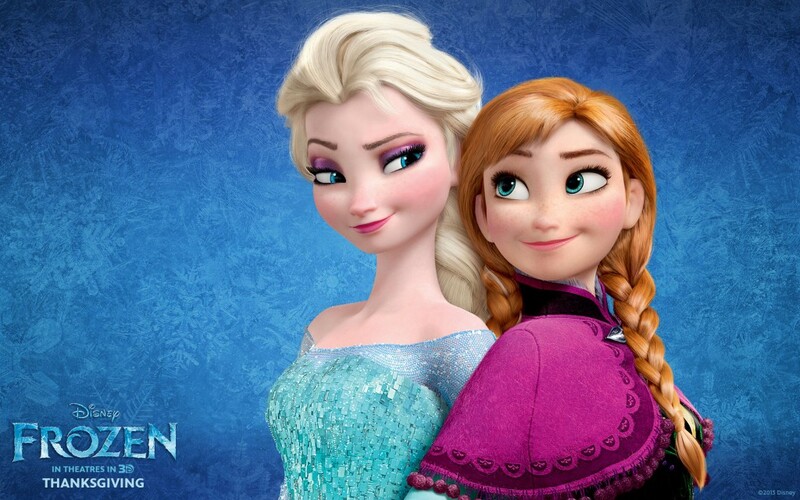 “Let it Go” is just a booming barnstormer of a song that incited cheers and sing-alongs when I saw it in theater. My big question is: Where will it ultimately fall in the pantheon of Disney songs? I say somewhere in the top fifteen, but I would entertain the argument that it’s higher or lower than that. Fun fact: the “finishing each other’s sandwiches joke” appeared on Arrested Development episode 3.11, first broadcast February 10, 2006. The same joke was made in That 70’s Show episode 8.12, first broadcast February 9, 2006.